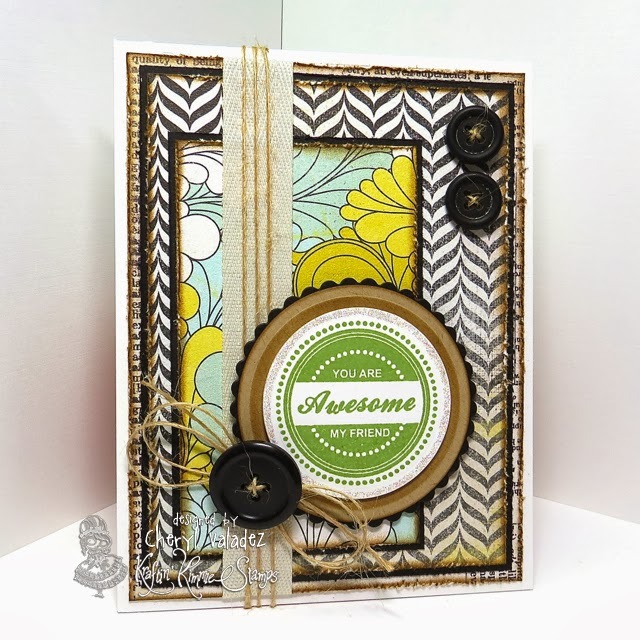 The Ink Trap: Wonderful Wednesday at Kraftin' Kimmie Stamps! Welcome to another Wonderful Wednesday challenge and the last one for January!! And as always....it's ANYTHING GOES!! Your submission must use at least one Kraftin' Kimmie Stamp but can be any theme, any style, any design and it can be a card, a scrapbook page, an altered item....you name it!! It must be a NEW creation and you can enter on this post until Tuesday, February 4th when the winner for January will be announced!! What do you think.....wanna WIN?? I've used one of our fabulous Trinkets on my card today from a set called Everyday Trinkets. These simple stamps can add an unexpected sentiment to a fabulous image or become the focal point of a quick and easy card. So very versatile. Find all of the Trinkets and TONS of wonderful images in the Kraftin' Kimmie Shop! **Please note that you are more than welcome to combine this Wonderful Wednesday Share to Win challenge with other challenges, BUT not our regular weekly challenges. This must be a new and different creation than anything you create for our Saturday challenges. Your card is awesome, too! Love the papers combination. Thank you for your inspiration!